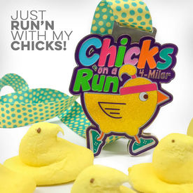 Running with SD Mom: Chicks on a Run Virtual Race and Gone for a Run team! Chicks on a Run Virtual Race and Gone for a Run team! 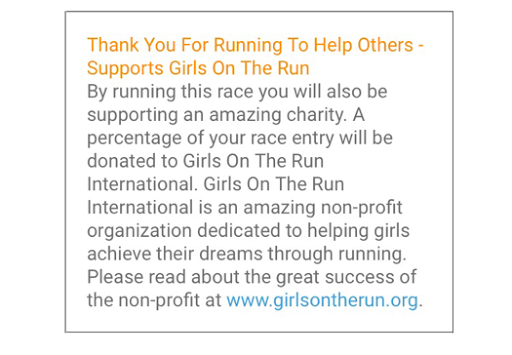 I am super excited to share that I have asked to be a member of the Virtual Run Team for Gone for a Run! 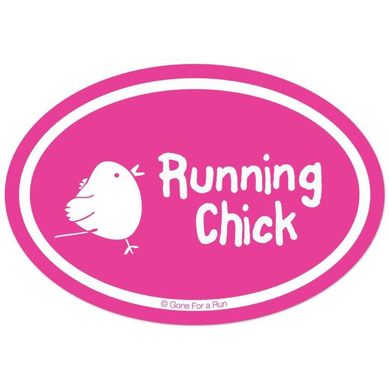 And I get to start my stint with the Chicks on a Run Virtual 4 Miler! How do you run a virtual race? Super easy! Head over to the registration page and register for just $25! Gather up your running besties and run or walk four miles between April 13-19 wherever you want. 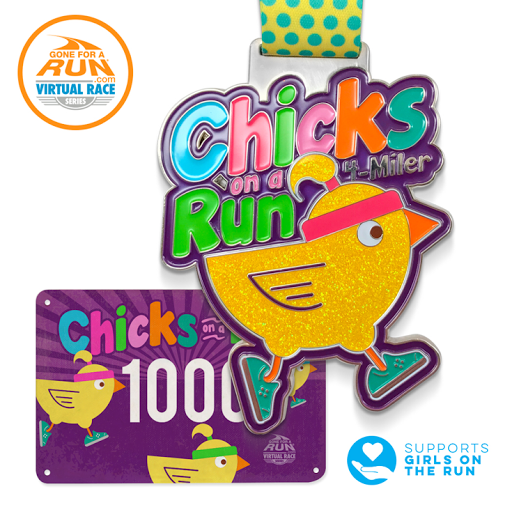 What could be cuter than this colorful, gilttery Chicks On A Run medal? Once you sign up, you will be shipped your race packet which will include an authentic race bib and a large 4 inch Chicks On A Run medal featuring glitter detail. 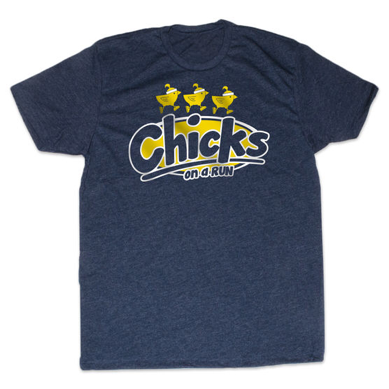 You have the option of adding on fun items like socks, a magnet, underwear and this shirt for $12! Steal! Please be sure to share your race photos and recap at their Facebook page! So will you join me on this one? Super cute right?! Best thing about this race?! It's for a great cause! How awesome is that?! What are you waiting for? Sign up! Disclaimer: I was given a comped entry for this race but all opinions are my own. That medal is so cute!